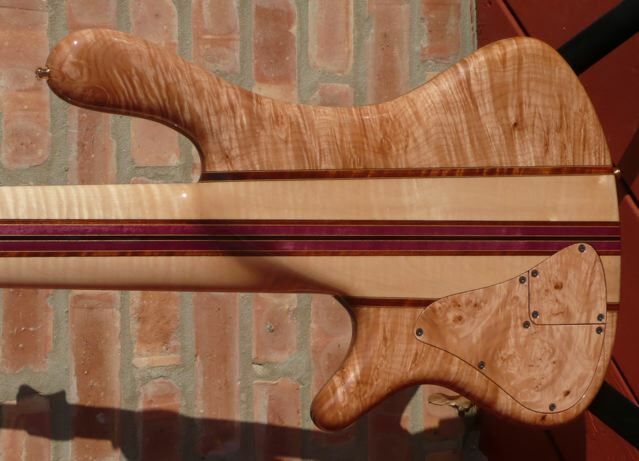 Here is another recent custom order I thought you might like to see. The Signature is the most wood-involved model that Jerzy offers. 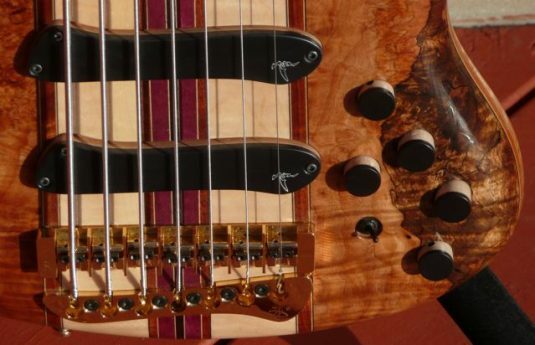 The best woods, with many species and laminates. 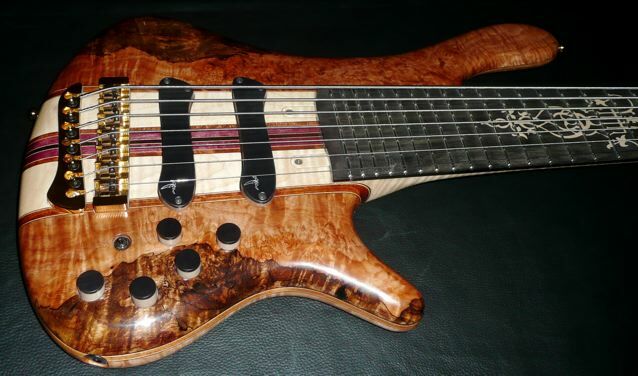 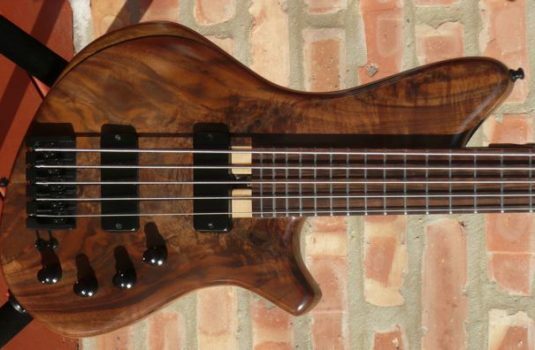 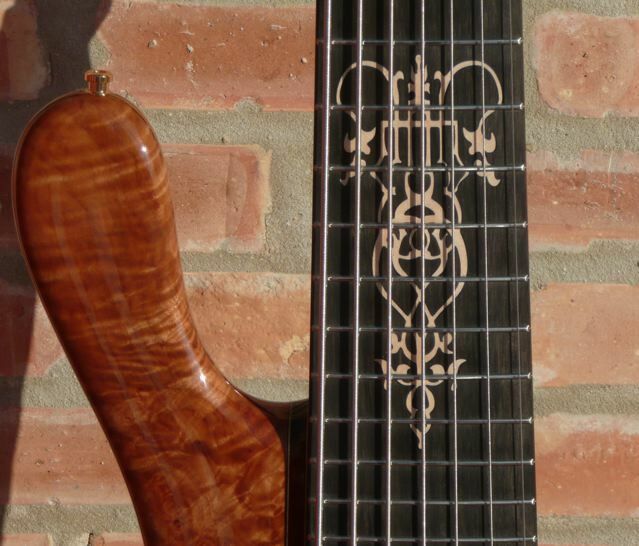 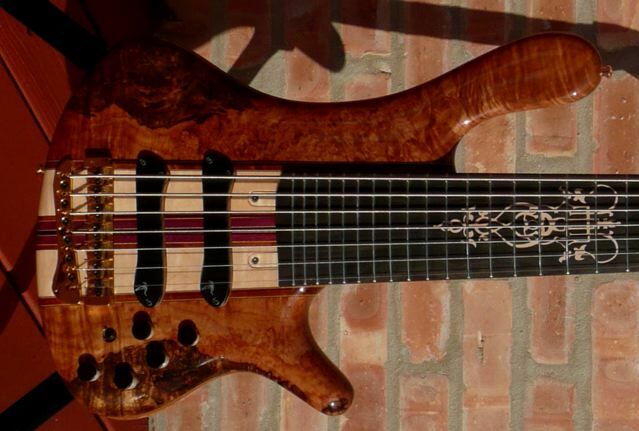 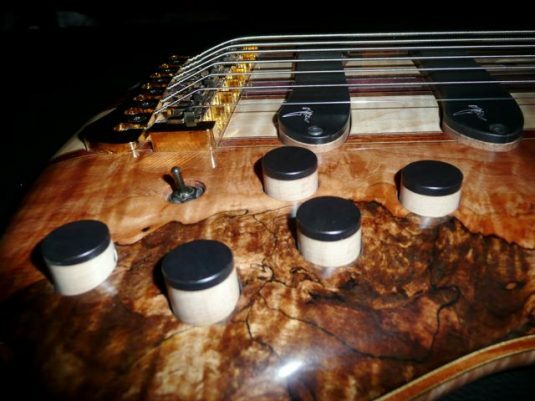 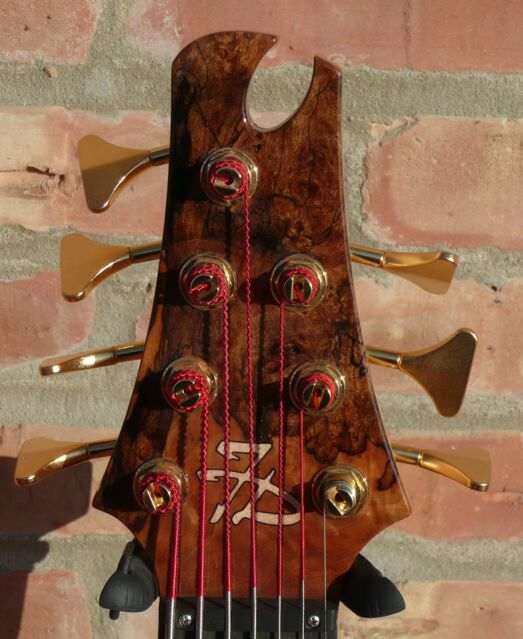 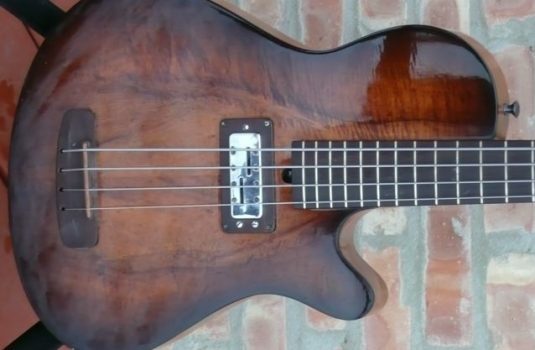 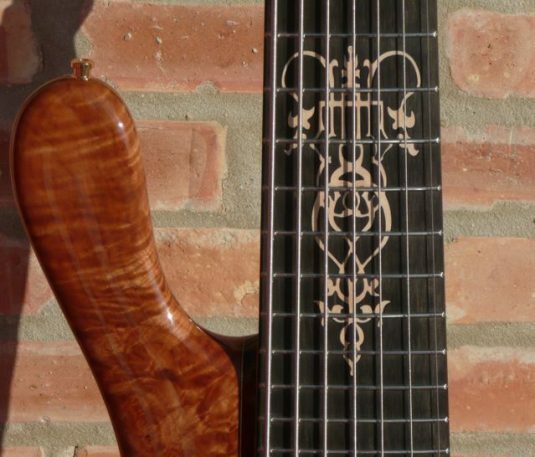 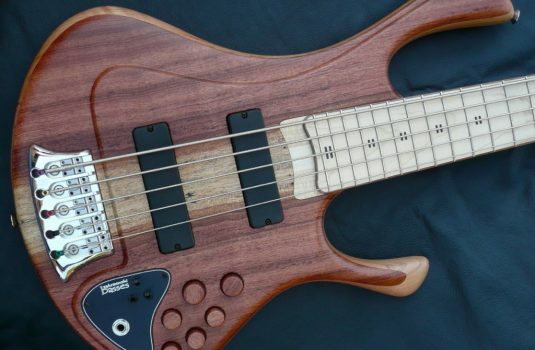 This bass has a 36″ scale neck and 28 frets. 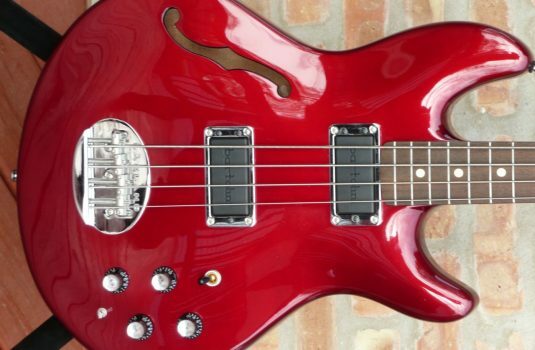 2009 list is a shade under $10K.